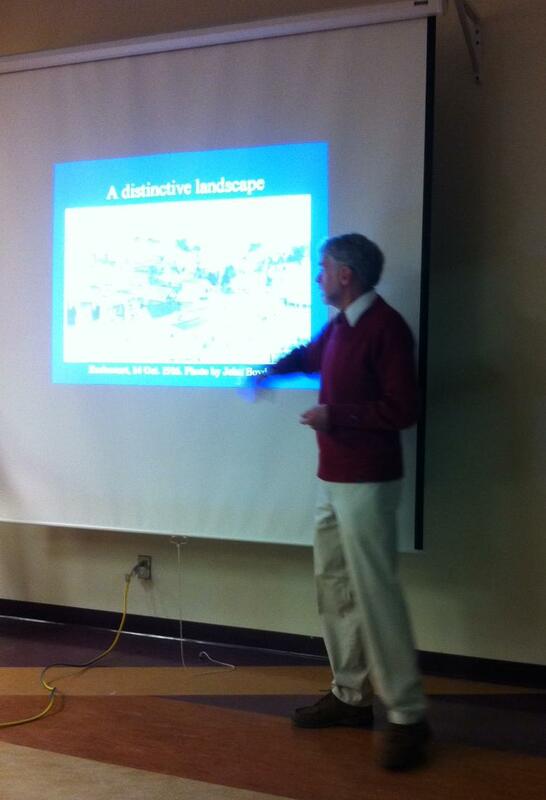 Historical Geographer Richard Harris recently presented a talk entitled “The Making of Dufferin-St. Clair: 1900-1929” at a local library located in this Toronto neighbourhood. Following his talk, a room full of community members shared their personal memories of the area’s social and physical development. Harris’s talk comes from research for his book, Unplanned Suburbs: Toronto’s American Tragedy, 1900 to 1950 (1996), which examined the rise and fall of working-class home ownership in Toronto’s suburbs. The Dufferin-St. Clair neighbourhood, also known today as Corso Italia, is a key location in the book. Harris’s talk is available here for audio download. The presentation is the fourth talk of the 2011 History Matters lecture series. Now in its second year, the series gives the public an opportunity to connect with working historians and discover some of the many and surprising ways in which the past shapes the present. This year’s talks focus on two themes: labour and environmental history. The next History Matters lecture takes place this Thursday, when Craig Heron will discuss the history of labour parades in Toronto. Click here for more details.